Put your arms at your sides with thumbs pointing up. Your feet should be hip width apart or closer. Head neck and hips should form a straight line from your head to your knees. Abdominal muscles should be engaged through the abdominal hollowing exercise so as to keep your lower back and pelvis in a nice neutral position. Raise one arm overhead as far as it will go. Let your arm rotate as it moves over head so that your thumbs point inward and your palm faces the ceiling. As you return that arm to your side, raise the other arm overhead. If you experience any shoulder pain with this exercise, stop and consult a physical therapist. Try this exercise with one leg lifted off the floor. Try the Alternate Arm and Leg Raise. Adding more air to your stability ball will make it less stable. This exercise is about maintaining stability while introducing limb movement and thus shifting one's centre of gravity. Try the Leg Raise Exercise in this position or the even more difficult Reverse Bridge Straight Leg Raise. 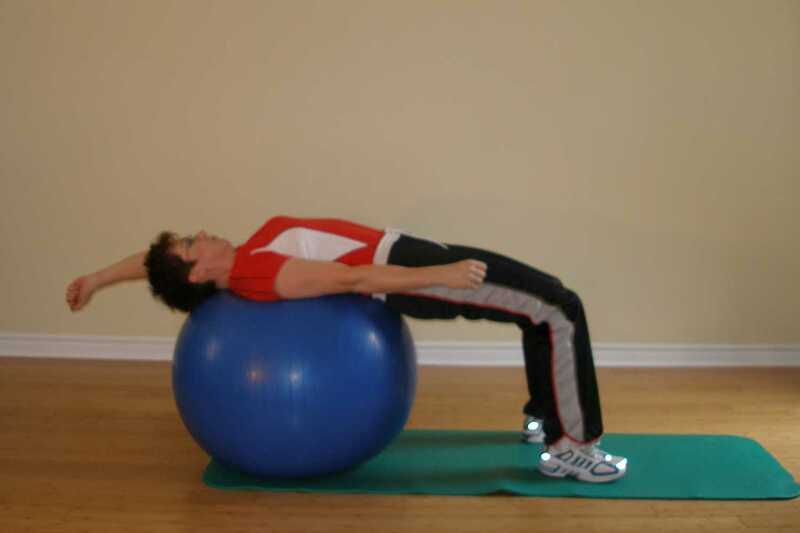 Repeat this exercise ball exercise 6 times. 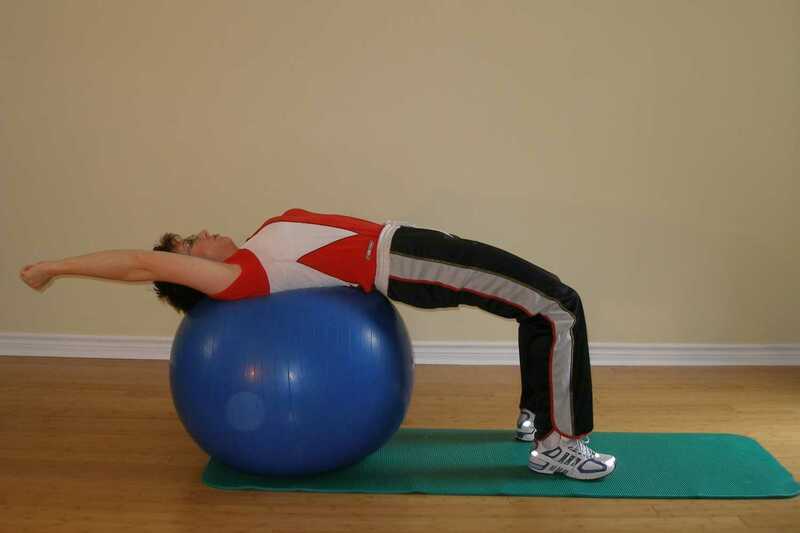 Repeat this exercise ball exercise 10 times. Repeat this exercise ball exercise 15 times.